With the rapid growth of the Resin Transfer Mold business in the last few years, Prospect Mold & Die has made significant changes to our equipment and personnel to provide our customers with the highest level of service. The changes started being implemented in the summer of 2017 and should be complete by March of 2018. Dedicated assembly bays have been developed next to the current Quality Room for seamless transition between the areas. The tight tolerance requirements of these tools, requires levels of inspection during assembly that are not normal in the injection mold field. Each bay has been equipped with granite tables and storage racks for the multiple inserts and mandrels needed for each mold. Due to the added inspection required, Prospect Mold has purchased and installed one more CMM and two more FARO Arms. The CMM, our second, is a Brown & sharpe XCEL with travels of 59" x 35" x 33". The two FARO arms are 9”diameter EDGE arms. One of the arms will be used within the QA department, while the other is mounted to a rolling cart and can be utilized in any of the RTM assembly bays for in process checks. The final addition is a second Mikron HPM 800U. This high speed five axis machine is equipped with a pallet changer. Installation will be complete in February with the machine operational in March. These two machines are the workhorses when it comes to tight tolerance, complex inserts and mandrels. Over the last 8 months, Prospect Mold & Die has made an effort to grow their outside sales force to better serve their growing customer base. With the hiring of three new employees in specific geographical locations, our footprint throughout North America has grown significantly. The office in Greenville, SC puts Prospect Mold in the center of a quickly expanding region full of injection and compression molders. Tier 1 & 2 automotive suppliers have migrated to the Southeast from the Detroit area, Europe and Asia. Joining an already strong custom molding industry, the Southeast has quickly become the US center of molding. Having personnel in Greenville, gives Prospect the ability to provide sales support to customers in eight different states in less than 6 hours. Despite the migration of automotive molders to the Southeast, Detroit still remains the administrative and engineering hub of the automotive industry. Prospect Mold has established an office in Detroit, MI for the sole purpose of having someone with daily availability to all of these customers. The final sales office is located in Salt Lake City, UT. 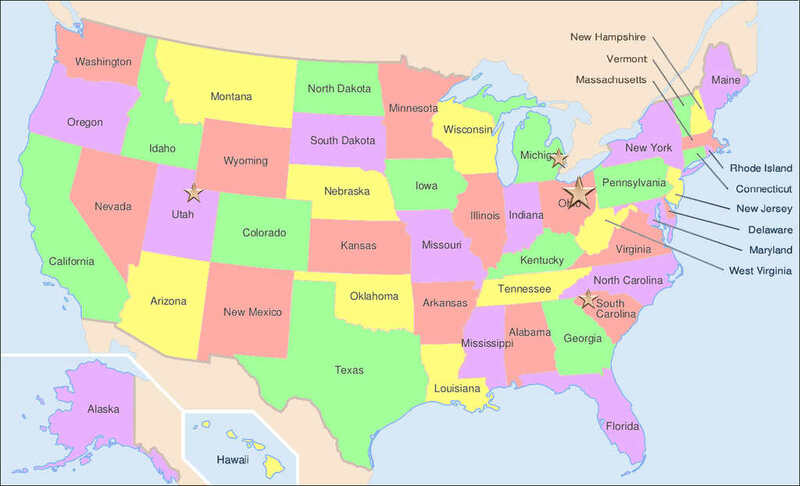 The aerospace tooling market in the US is vast and spreads from coast to coast. Having a sales office west of the Mississippi gives Prospect the ability to service those customers much sooner without the need of a cross-country flight. 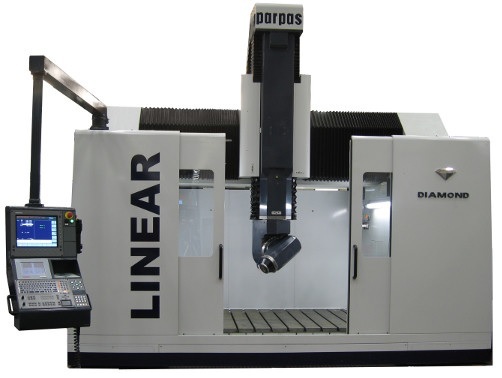 Installed and operational in February of 2016, the Parpas Linear Diamond machining center joins the ever growing family of five axis machines at Prospect Mold. This is the third Diamond that Prospect has acquired, but the first that is a Linear machine and will be dedicated to machining of carbon fiber parts for our aerospace customers. The machine came equipped with a paper filtration system that pulls the carbon fiber dust from the coolant which keeps pump maintenance at a minimum. The machine also has M&H software and a five axis probe installed to allow for inspection of all machined surfaces without removal from the machine. With a table size of 110" x 66" and travels of 87" x 59" x 39" the Diamond is the perfect machine for many of our applications. In mid-Summer 2014, Prospect Mold & Die purchased a new OPS-Ingersoll EAGLE 1400Plus XL EDM machine. The machine will arrive in early October and be operational by November of 2014. The machine comes equipped with a tank that will hold blocks up to 101″ x 60″ x 31″ and has travels of 93″ x 50″ x 36″. Maximum electrode weight is 3,300 pounds. Equipped with the latest controller technology this machine will move Prospect to the forefront of EDM technology and provide around the clock support for the EDM needs in the Injection Mold building area. Prospect Mold & Die recently purchased and is now installing a new Parpas Active Five. 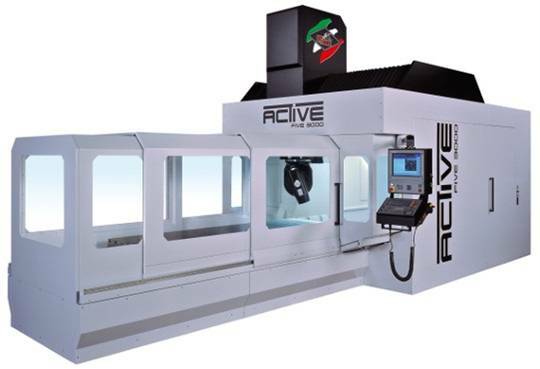 The new machine will be Prospect’s twelfth Five Axis machining center. With travels of 118″ x 71″ x 33.5″ this machine will provide finish machining for Prospect’s entire portfolio of tooling including Resin Transfer Molds, Crush Core Dies, Injection Molds, Trim Fixtures and Lay-Up Molds. Installation and training should take 3-4 weeks, Prospect expects the machine to be up and running in late October of 2014. Prospect Mold and Die Company recently completed a $2.5 million expansion that included the addition of 24,000 square feet of manufacturing space for their new Molding Products Division, and the purchase of a multi-component ENGEL 1650 duo, 2-platen injection molding machine. 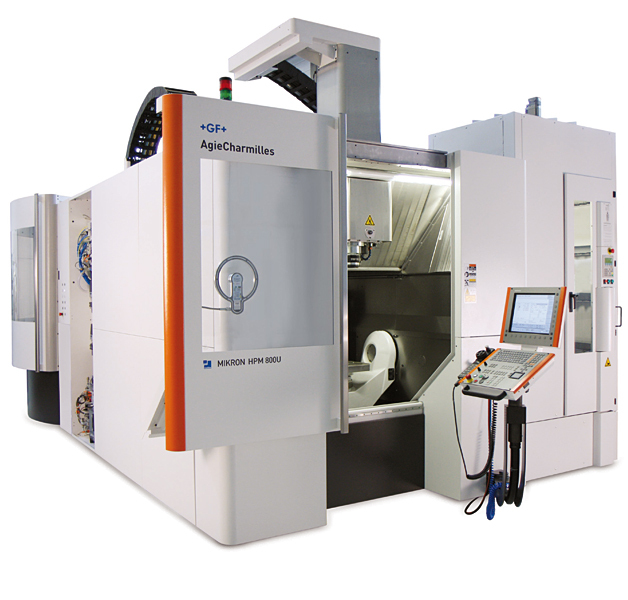 Installed in their new 24,000 square foot Molding Technologies Division facility, located in Akron, Ohio, the new multi-component ENGEL duo 4400H/2000H/1350L/1650 combi US injection molding machine is equipped with a 2 station continuous rotary table, an integrated ENGEL viper 40 robot, and is equipped with up to 4 component molding capabilities with shot capacities ranging from 33-110 oz.. The creation of their new Molding Products Division increases the company's in-house capabilities and expands the level of customer support that they are able to offer. 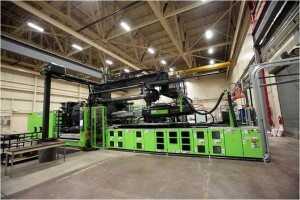 "The additional space and purchase of the new molding machine will further enhance our customer support capability and solidify our commitment to provide best-in-class, multi-material tooling solutions as well as expand our diversified portfolio by adding a Molding Technologies Division to our company", said company president Brandon Wenzlik. According to Wenzlik, the expansion will benefit and support customers by enabling the company to handle all mold trials, including final commissioning in house, eliminating the need for back-and-forth shipments during trial phases. It also allows Prospect to offer multi-shot trial and short-run production solutions, which are important when customers experience periods of constrained capacity. Prospect Mold was a proud sponsor of the University of Akron Racing Formula SAE team in the 2012/2013 school year. Prospect supplied composite tooling fixtures to the team and they in turn layed up the composite hull of the car. The team reduced the total weight of the car from 426 pounds in 2011/2012 to only 350 pounds this year. Different schools from all over the world brought their cars together in May at Michigan International Speedway for four days of competition. 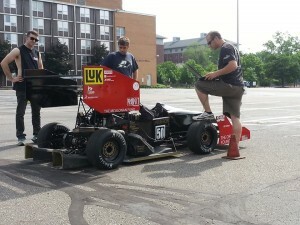 The cars competed in seven different categories including design, cost, business, skidpad, acceleration, autocross, and endurance over the four days. The Zip's racing team had a tremendous weekend capped by winning the endurance category and finishing 3rd overall. Prospect Mold is proud to help these young engineers in this annual competition.